Elected officials are deciding the rules for Uber and Lyft in Pennsylvania, and the Independent Drivers Guild is working to make sure the new rules work for drivers. About 15,000 families in Pennsylvania rely on ride share platforms as a part of, or for their entire household income. 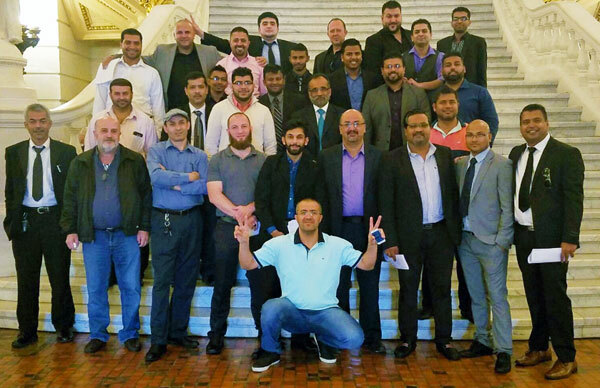 Working drivers of Pennsylvania, whether they work for UberBLACK, UberX or Lyft—and their passengers—need to be protected, safe, and have a fair pay to provide for their families. Click here to help Pennsylvania drivers get the protection they deserve. The Independent Drivers Guild, an affiliate of IAM District 15, represents more than 35,000 Uber drivers in New York City.